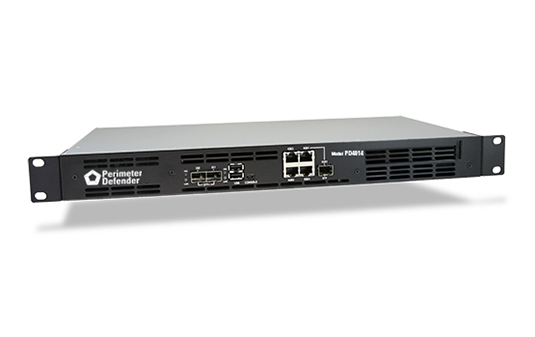 The PD-4014 Security Gateway Appliance offers the next-generation in firewall protection with preloaded software. Perimeter Defender software provides feature-rich security services and perimeter security in today’s threat-sensitive business environment unencumbered by traditional annual contracts, licensing fees, or artificial limitations. The integrated Intel QuickAssist Accelerator is capable of driving encryption speeds up to 10 Gbps, reserving processor cycles for application and control processing. With Intel 10 Gbps Ethernet and fiber-ready connections, it is ideally suited to deliver fast, robust operation and leaves the PCIe slot open for additional ports or future expansion.